Modern kitchen cabinets white quartz kitchen countertop with 2″ x 12″ copper color quartzite subway backsplash tile. 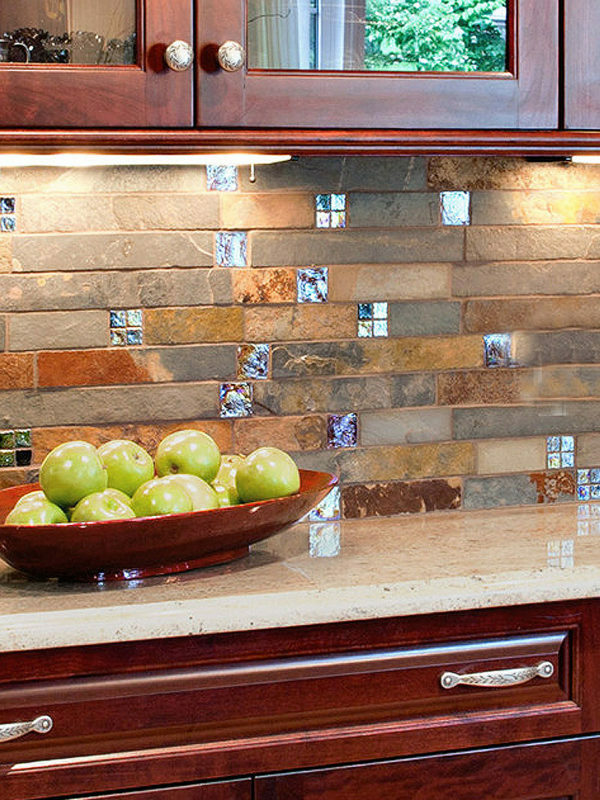 This is a unique backsplash tile quartzite gives them shimmery look. Installed with out grout line. This entry was posted in BRICK, SLATE, SUBWAY. Bookmark the permalink. Dark gray subway slate wall tile, modern, unique and natural look. Grey blue with rusty earth tones Brazilian slate mosaic tile with red glass inserts. 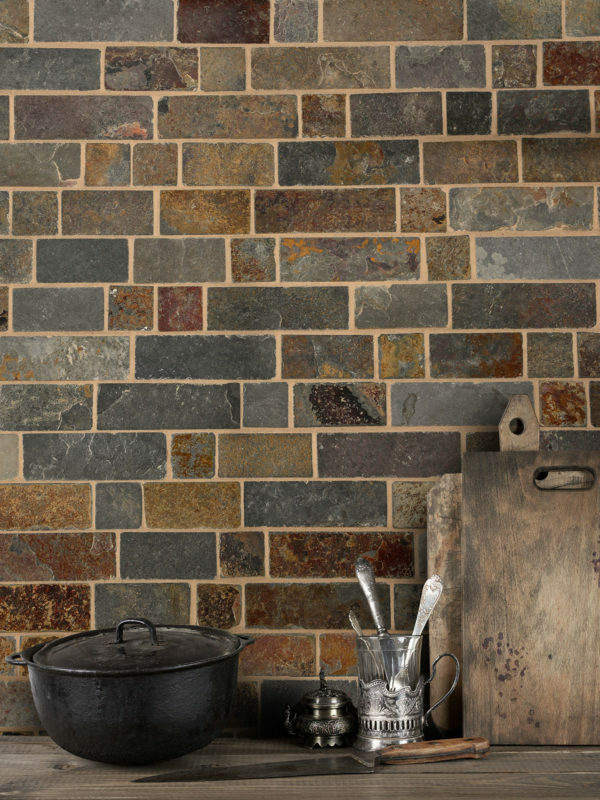 Quartzite slate subway kitchen backsplash tile. Gray and brown natural stone.